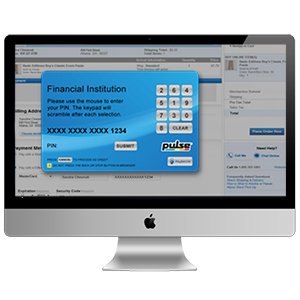 PayLeap is the only payments processor that can offer the patented online PaySecure® PIN pad. Merchants love PaySecure® PIN debit because it has the lowest cost of acceptance and helps them aggressively manage costs. 100% of the liability for chargebacks flips to the bank. PayLeap is the only merchant services provider that helps you aggressively manage your processing costs by steering your customers to low cost PaySecure® internet PIN debit.